January is a huge month for new publications, and I can’t wait to share all the reviews coming this month! But I’ll only tease you with two right now: one YA that was hugely successful in the UK, and one adult historical fiction publishers are calling the next Water for Elephants meets The Night Circus. Geek + runway = a hilarious runaway hit! This bestselling UK debut is full of humor and high-fashion hijinks—and now it’s coming to America. 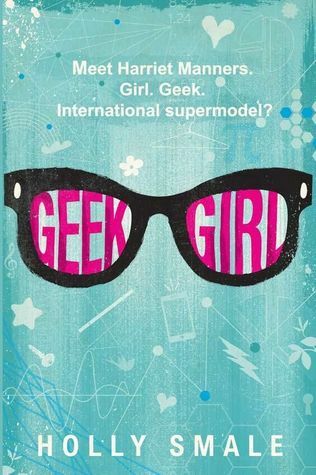 With all the humor and fabulous shenanigans of Louise Rennison’s Confessions of Georgia Nicolson and Meg Cabot’s The Princess Diaries, Geek Girl is about to become an international superstar. Um, LOVE. 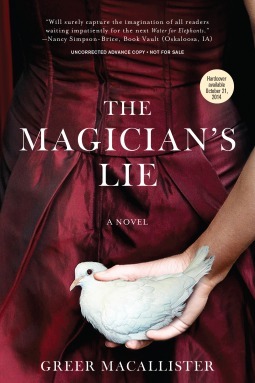 I was hooked the moment I read Stacey @ PrettyBooks‘s review (feels like ages ago!). So excited to see it was coming to America — and you should be, too! What an intriguing premise. Not only will the policeman have to guess if she’s telling the truth, but so will the reader! Suspenseful, quiet yet dramatic, and a train show. Yes yes yes. Remember, on January 6th, Jennifer Niven’s debut All the Bright Places will hit stores! Be sure to nab yourself a copy, especially if you love The Fault in Our Stars and Eleanor & Park! Completely worth it. Several other amazing books come out in January, including Megan Shepherd’s A Cold Legacy and Patricia Bracewell’s The Price of Blood. Which books are you looking forward to in January? I also received an advanced copy of All the Bright Places and really enjoyed it! It will be cool to see if it is as big of a hit as Eleanor and Park or The Fault in Our Stars. I think it has the potential to be. I would have to agree. I wonder if it’ll be a BOOM or a slow simmer.